Glad you liked it Brontodocus, I was very lucky to snap it when it stopped. A couple of days later there was a swarm of them over a field of grain but getting a picture was not going to happen. They are very good and fast fliers. Again taken in Menorca. 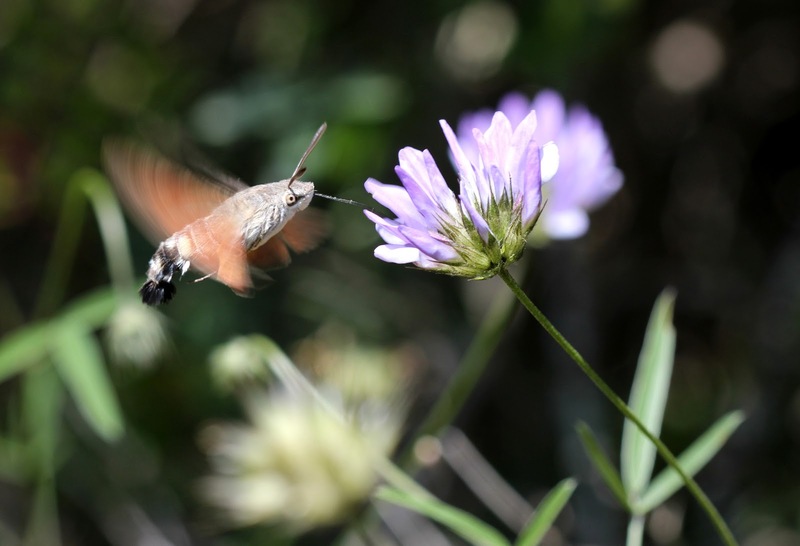 Here are a couple of pics of a Hummingbird Hawkmoth. One in action the other still so you can see the size. I hope everyone likes them. Here is another picture from my Menorca holiday that I searched hard to find. My patience paid off and I got this picture on the last but one day of my 2 week holiday. I skipped all the way back to the hotel. It makes up for all the hundreds of pictures that don't make the grade and are sent to the recycle bin. Looks like it has a translucent head! Oh, wonderful! I can confirm they are really hard to find. I visited the "Badberg", a protected area in the "Kaiserstuhl" near Freiburg (it's one of the hottest spots in Germany) several times without success in September 2009 - when they were already 7 cm long adults. Only on the last day I found two females just about 20 cm away from each other. 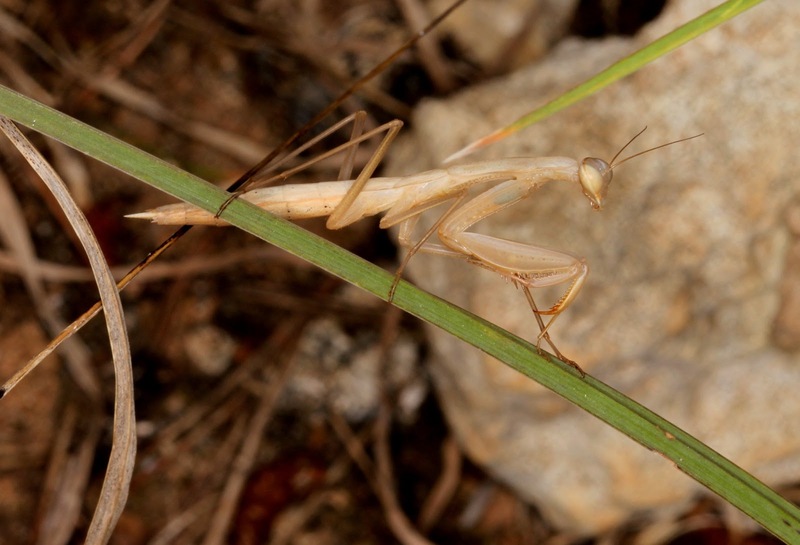 They are so well camouflaged and hide behind blades of grass when a person approaches, just like chameleons would do. Thanks for your comments Brontodocus. Here is a beetle I had never seen before and spotted by my wife Barbara while on a walk in Menorca. It was so big I don't know how I missed it. 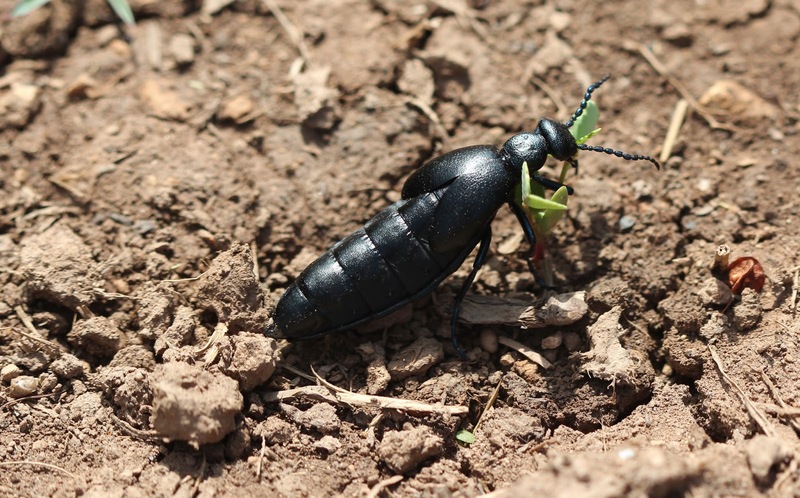 It is called an Oil beetle because it emits a smelly oily fluid when it is alarmed. 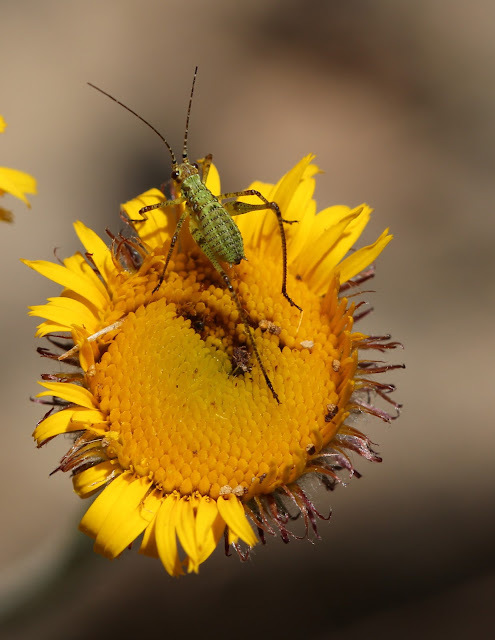 It also has conspicuous beaded looking antennae. Hi all, new update to Bugsnapz. Feel free to visit Bugsnapz.com to see all previous posts. Nice. I noticed you've stopped watermarking your photos, is that intentional? 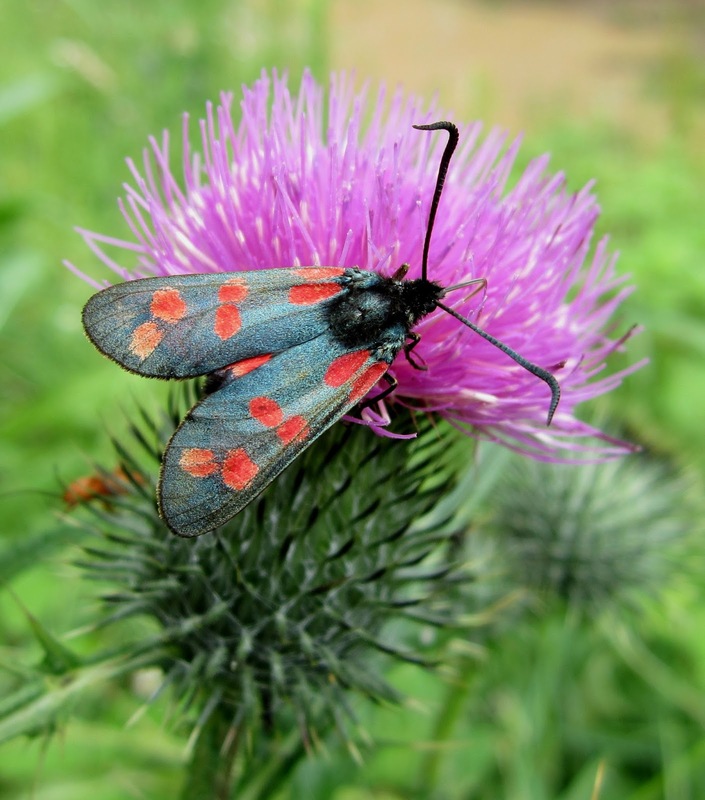 I took this picture with a Canon Ixus and was very lucky the moth stayed where it was for some time. I can't say I have seen many of these moths this year. They are quite stricking and hard to miss and the colours are great. Enjoy. I hope you like this new update. I hope I also got the correct name as there are so many variations. Beautiful! 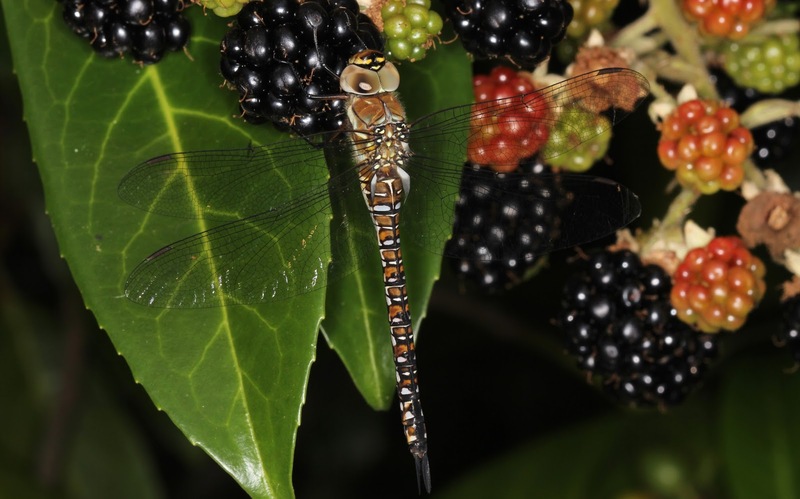 It's a female Migrant Hawker, Aeshna mixta. 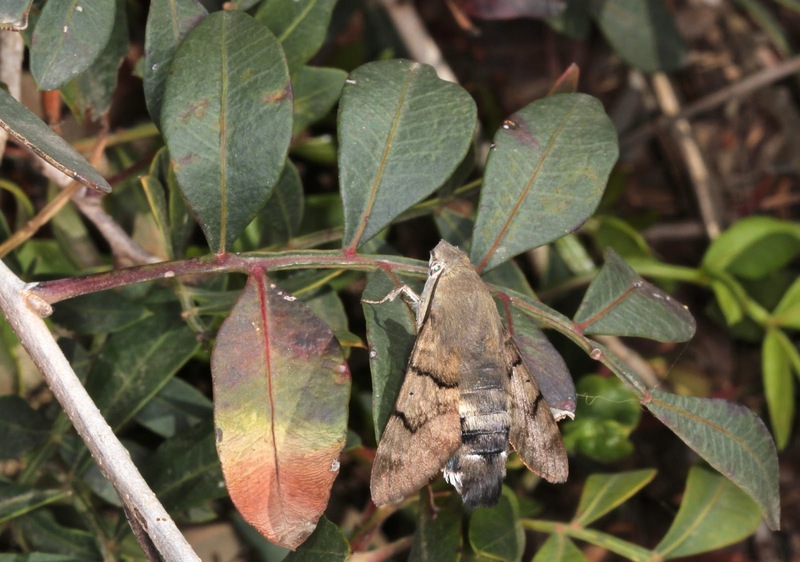 The second abdominal segment (that's the thick one behind the wings) shows a T-shaped yellow mark which is characteristic for A. mixta. 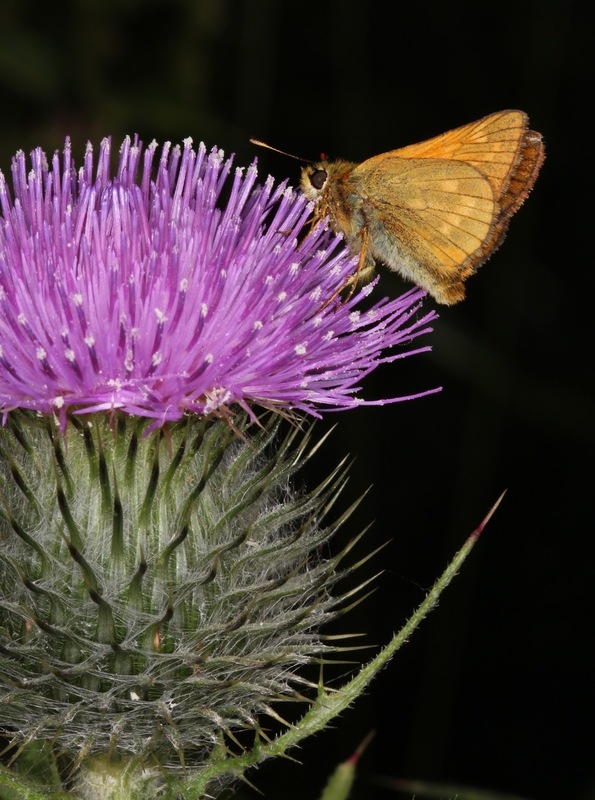 A. grandis would also have wings that appear yellowish and the wing venation would be light brown instead of black. Thanks for the update Brontodocus, much appreciated. 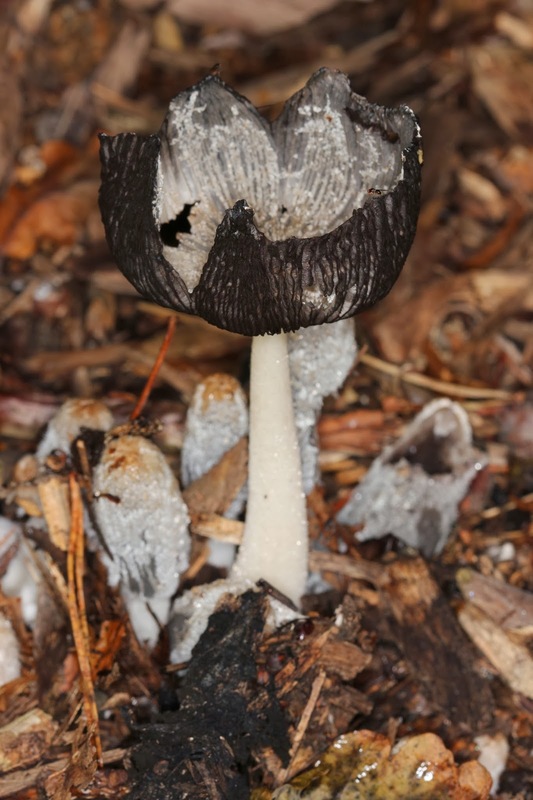 I have difficulty in finding easily recognisible pictures to compare. I can spend ages trying to confirm the correct names, in fact longer than it takes me to photograph them but it is good when you eventualy find them so thanks again. You're welcome! There may be many insect groups where a photo won't allow an identification to species level wit 100% certainty, but all dragonflies of central Europe can be identified this way. 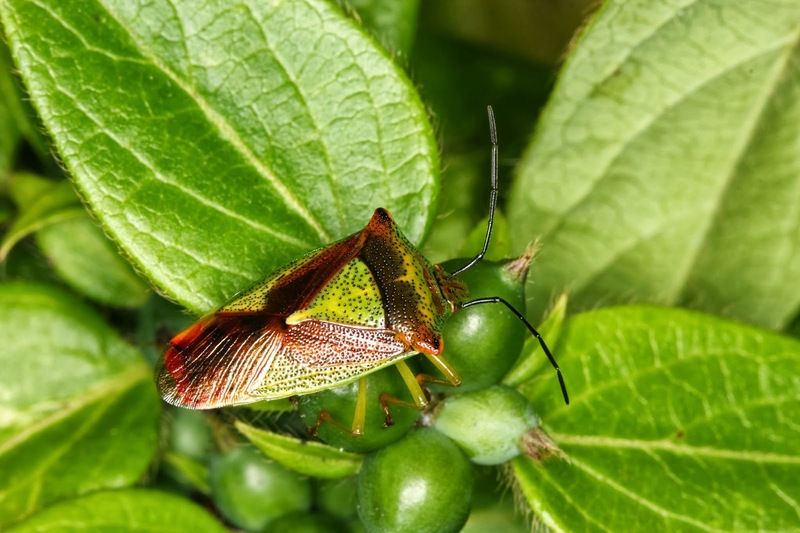 Here is another of my favourite insects, the shieldbug family. I took this one in my back garden with my usual kit plus an extension tube to get me that bit closer. 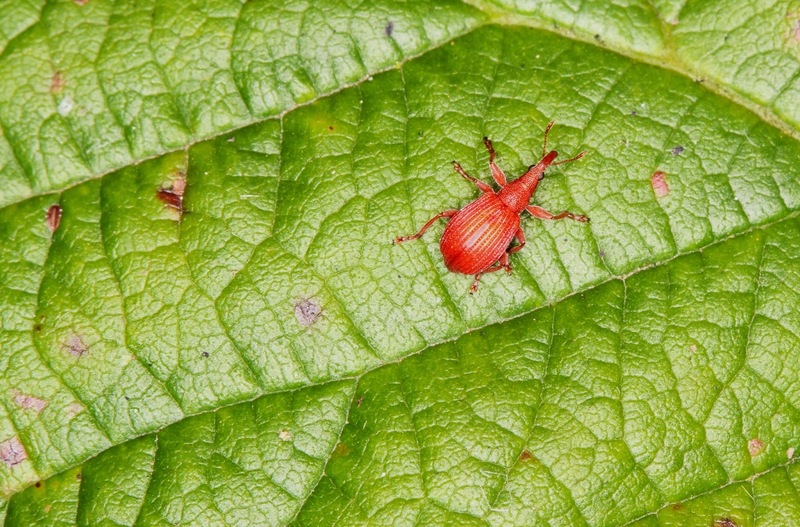 A lovely red weevil (Apion frumentarium) It is specific to Dock plants and usualy under the leaves so I was lucky to spot this one as it took its life in its hands (or feet!!) by walking on top and standing out big time. Not easy to take a good photograph of them, those Apion species are so very tiny! Since their head is tapering which makes it resembling that of a shrew they are called "SpitzmÃ¤uschen" (= little shrew) in German. Thank you for your comments Brontodocus, much appreciated as usual. That weevil is large in comparison to some that I have seen but not had a good picture of. I find them on the tops of nettles. I took the picture with my new extension tubes which means I can get a lot closer. 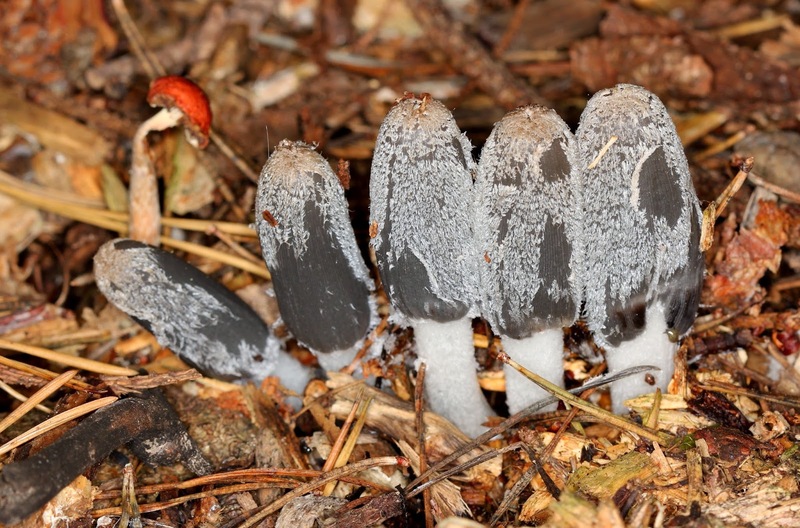 Here is my next favourite thing to photograph while the insects are not about, fungi. Enjoy all.